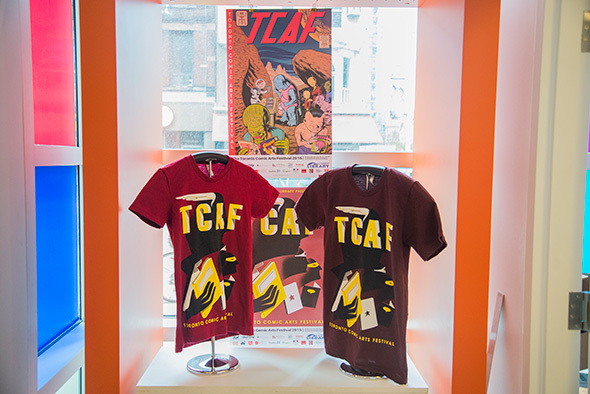 The TCAF Shop (also known as Page & Panel) brings a little piece of the Toronto Comic Arts Festival to Yonge and Bloor year-round. Occupying a streetside space in the Toronto Reference Library , which gives up several of its floors to the sprawling indie comic book festival every May, the little shop presents a cross-section of some of the world's finest comics and graphic novelists (along with a few other fun surprises). 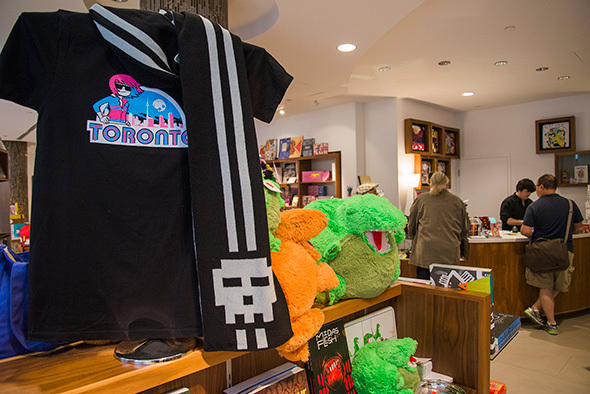 The shop is a not-for-profit endeavour that supports TCAF. So, yes, there's a store behind TCAF, and yes, it's a gift shop for a festival that features oceans of comics for sale - but any reason to open a gorgeous comics shop at the heart of the city is a good one. 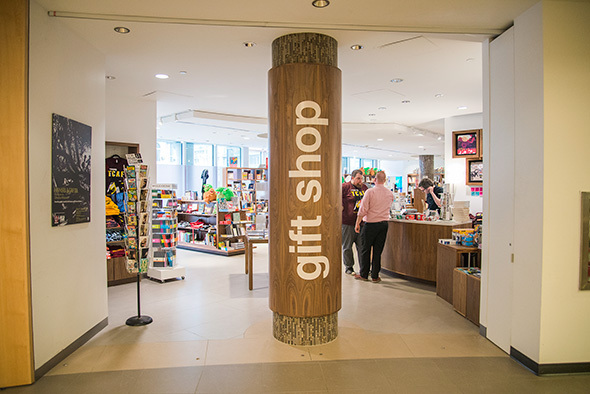 As managing director Miles Baker explains it, the Reference Library added the gift shop space, along with Balzac's Coffee , during renovations that started in 2010; when their plans to launch their own store fell through, they asked TCAF to come on board. "It was a combination of bringing part of the festival to a permanent location all year round, while operating as a bit of a gift store for the library," Baker says. That focus translates, first and foremost, into tables and shelves packed with graphic novels - single-issue comics take a backseat here in favour of trade paperbacks and anthologies, with plenty of new issues and staff picks displayed cover-forward (instead of being stuffed side by side) for easy perusal. 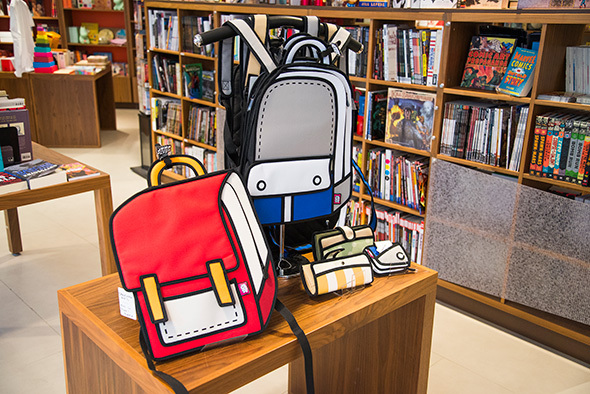 "We wanted to have stuff that touches on things we've been doing so far - the first thing I did is make sure I had as many books as I had from visitors at TCAF." 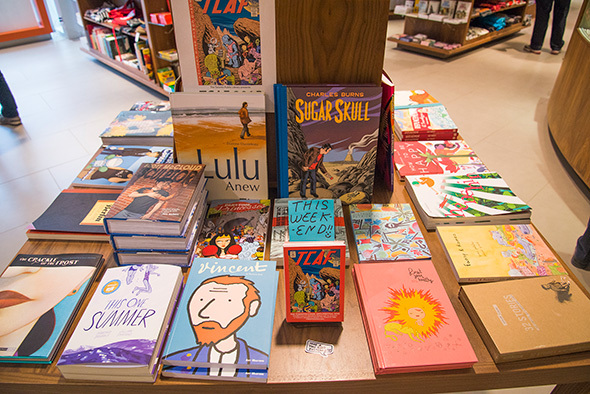 That translates into plenty of Canadian content - your Kate Beatons and Bryan Lee O'Malleys are all well-represented - but also an entire shelf of items from Japanese creators. 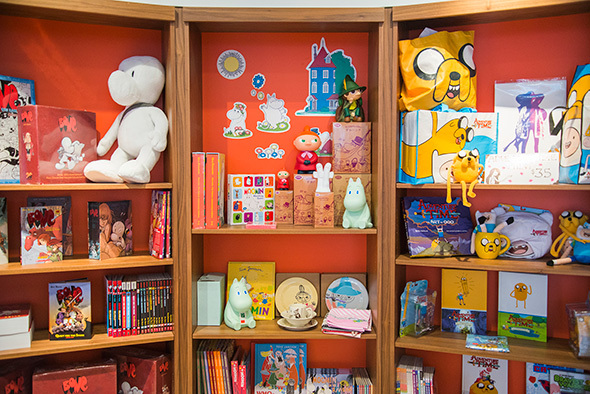 There's sections geared toward kids, and plenty of merch from classic franchises - Bone plushies, Asterix action figures, and a trillion things with Finn and Jake's faces on them. And if you don't want to pay the shipping on webcomic swag, there's a smattering of stuff from A Softer World , Diesel Sweeties and Questionable Content . 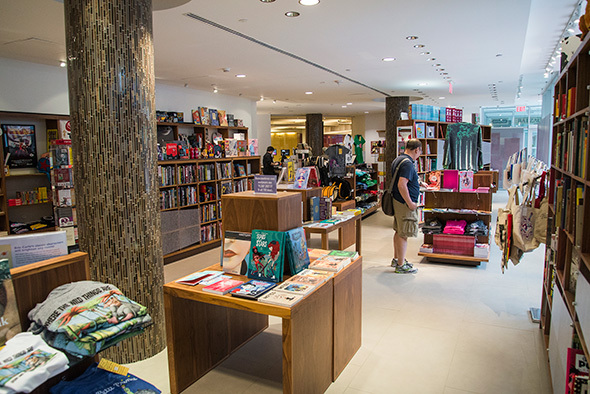 The store will stay set up as-is during TCAF weekends, with new festival-branded merch and comics rolling in season after season. They'll also keep hosting panel discussions and signings by artists and authors (recent guests include Chip Zdarsky and Carson Ellis), and Baker says they hope to keep expanding the stock and programming. In short, he says: "We have a lot of dreams."